How does 2019 affect a local church? For 18 months, I served as a member of the Commission on a Way Forward. Commission members worked in good faith and good will even as we expressed the range of opinions held by members from different continents and countries. Lay and clergy, male and female, gay and straight represented different cultures and ethnicities and covered the ideological waterfront of The United Methodist Church. It was intense and tiring. Many meetings ended with a dash to the airport to get home to my normal life, where I serve as the lead pastor of Floris United Methodist Church in Herndon, Virginia. The local church is the focus of my ministry. Floris is a large multisite congregation that has become multicultural as our majority Anglo membership has welcomed a growing number of members from India, Pakistan, West Africa, Mexico, and Central and South America. Our goal is to share the good news of life in Christ with our diverse, multicultural community. We are thoroughly United Methodist. Our members fill all the corners of our ideologically big-tent church. We are located near Washington, DC, and many of our members are connected to the work of the federal government. I knew something special was happening when I learned that economic advisors for Minority Leader Nancy Pelosi and President Donald Trump met for brunch after attending church together. The more we pursue a Pentecost-based calling to allow the love of Christ to unite diverse people, the more complicated our life together becomes. We learn from our varied cultural and political viewpoints. However, those differences can also frustrate and lead us to question how we can collectively hold the same faith while sometimes supporting completely different policies. We have enough legitimate reasons to break community to marvel at the grace that keeps us together. Like most United Methodists, our faith compels our service. We have a twenty-year mission partnership with the Sierra Leone Annual Conference. Our members have also built relationships with Methodists in Haiti, Cuba, and various UMCOR projects in the United States. The majority of our service happens in our local community, where we address important concerns with our non-profit partners. Our church is like yours. Everything that I have described, and much more, depends in some way on the connectivity of The United Methodist Church. If our relationships break up, the ministry that serves the physical and spiritual lives of many goes with it. There is a lot at stake here. Floris UMC is about ten minutes from Dulles International Airport, requiring a quick transition after the plane lands between the deep, thoughtful work of the Commission on a Way Forward and the broad concerns of our church. Here are some things I learned to remember that may help you with perspective. Whatever the General Conference decides will not address many critical issues related to the future of the local church. If either side gets the exact outcome they desire, it will have little impact on the number of people who are motivated to regularly worship God, exhibit committed discipleship, or offer service in the name of Christ. We are holding this called General Conference because LGBTQ persons matter to our church and we need resolution to an ongoing conflict over their inclusion. I hope that resolution will bless LGBTQ persons and enable us to redirect energy expended on conflict to a renewed strategy for church vitality. The future of our connection depends on a sustained focus on the ministry of the local church. 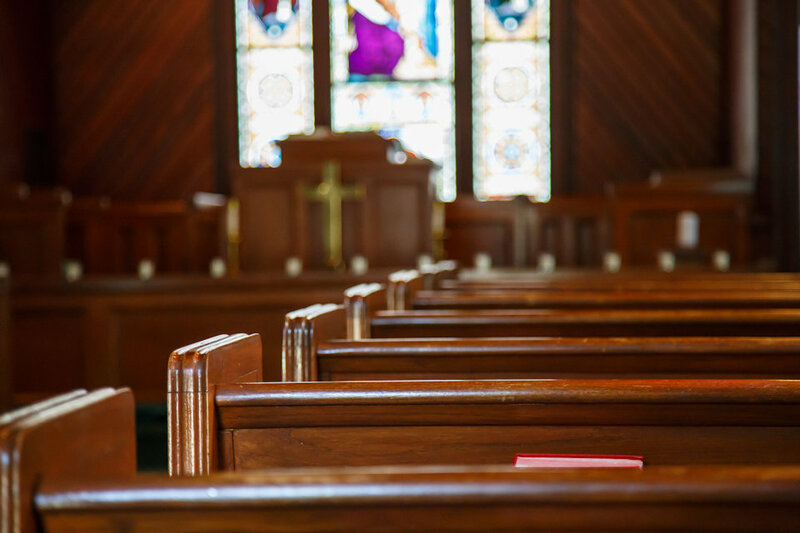 Local churches do not enjoy the near unanimous agreement about LGBTQ inclusion found in renewal and advocacy groups on either side who wield the largest megaphones in the dialogue. This is why we must keep the context of the typical local church in mind. As a pastor preaching at four worship services every Sunday, I am a bit jealous of the apparent unanimity in these groups. It would be wonderful to craft messages that easily result in the collective head nodding of a crowded room or get people fired up without anyone walking out. How nice to build your budget by having people agree on a select group of key issues and mutual frustrations without all the complexity found in the shared life of a congregation. While others benefit when people get wound up to act swiftly, most pastors spend time helping people cool down to think deliberately. The church I serve is like yours. We have unity in Christ. We have a love for one another demonstrated in a thousand acts of grace and kindness. But the only time we experience full harmony or unison is when we sing. Even then, we can get a little off key. We need a resolution that the broadest number of people in our local churches finds compatible with their shared life together. There is no plan that will make everyone happy. During the last day of the Commission meeting, I felt a profound sadness realizing that, in the end, we had not found the seamless solution that would honor the principles of all parties. While I never consciously thought that possible, I realized it was my deepest hope. Settling back into life when the Commission’s meetings concluded, I remembered that few plans in our local church satisfy all parties. Relocating the church, starting a second site, altering ministries, ending events, updating the website, and other changes create tension, conflict, and even lead some to leave. Like you, I have many stories of compromises made, proposals altered, people gained and lost, and imperfect plans that have brought us unexpected blessings in the messy world of the local church. No matter what plan prevails, we will need to understand that LGBTQ persons will continue to be born and, hopefully, continue to call The United Methodist Church their home. Because of this, the question of their inclusion will remain long after 2019. General Conference delegates cannot get caught up in the rarified heights of denominational deliberation. They will be wise to consider and learn from the often untidy and chaotic community of the local church when considering our future together.